His Karate experience includes numerous Regional Championships, as well as being National Finalist in Fukugo: Kata (Forms)/Kumite (Fighting) and En-Bu (Self-defense) and National champion in Kata and Kumite. He was Coach of the USA TFSKF Karate Team for the 2005 WTFSKF Karate World Championships, where he also competed in Fugu-go, Kata and Team Kumite. He has been certified as an instructor, judge and coach by the ITKF and has judged at numerous regional, national and international tournaments for both children and adults. 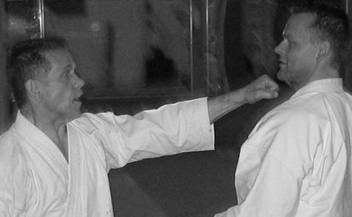 Sensei Schlauder is presently President of the USA Traditional Fudo-Shotokan Karate Do Federation. He also represents the USA as a member of WTFSK International Medical Committee and Judges Committee. He holds a Roku-dan (6th degree black belt) in Traditional Karate. He also holds a Doctorate in Chemistry & Biological Sciences and is currently employed in the Health Care Industry. 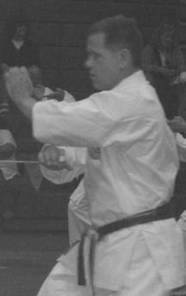 In addition to being Chief Instructor of Skokie Shotokan and Peterson Karate, he is also a Senior Instructor in the Sugiyama Dojo. He is also a member of the All United States Kendo Federation (AUSKF) and the Midwest Kendo Federation (MWKF).